McQuirk’s biografie in zijn eigen woorden, in 1995: “Born 1933, mother Annie Quirk, barmaid, and father an old traditional copper plate printer. At the age of two, along with my brother and sister, I was dispatched to a Catholic orphanage, owing to the dramatic dismissal of my father from his job and he became an alcoholic, left my mother who found it impossible to look after the children. At the age of fifteen, together with my brother and sister (…) met at my mother’s flat (…). There was a strange feeling of disunity amongst us. Having been separated for so many years, we were like strangers. I stayed for a year (…) but decided to leave and explore the world on my own. During the years that followed, I took on numerous occupations – i.e. messenger boy, trainee designer, textile worker, packer, salesman, factory hand, builder’s labourer, painting white lines on the highways of England, bingo caller, etc. All through the vast multiples of jobs I had a pencil in hand, drawing and scribbling images that were never ‘right’. (…) I am now a ‘recluse’ in my workroom and draw every day.” Uit een getypte brief, uit 1995, aan Stichting De Stadshof. 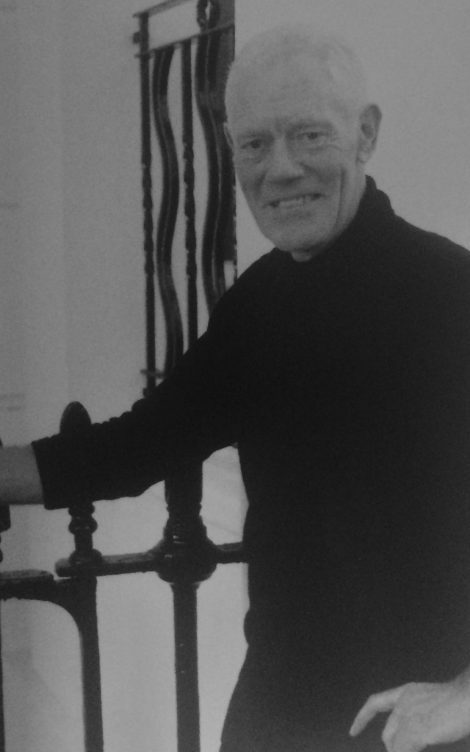 Zie ook: Thorne, Tony; “‘Wounds That Blood Eternally’ John McQuirk tells Tony Thorne how his childhood memories both haunt and inspire him.” in: Raw Vision #32, Fall 2000, pp. 42-46.